During his high school years in Fort Kent, Gary Dumond often flew his dad’s Piper PA-11 floatplane over to Eagle Lake to visit with Maine Warden Pilot Jack McPhee. Jack encouraged Gary to train as a military pilot and then return to Maine and seek a Maine Warden Pilot position. After surviving 1,410 hours as a helicopter pilot in Vietnam, that dream came true in 1972. 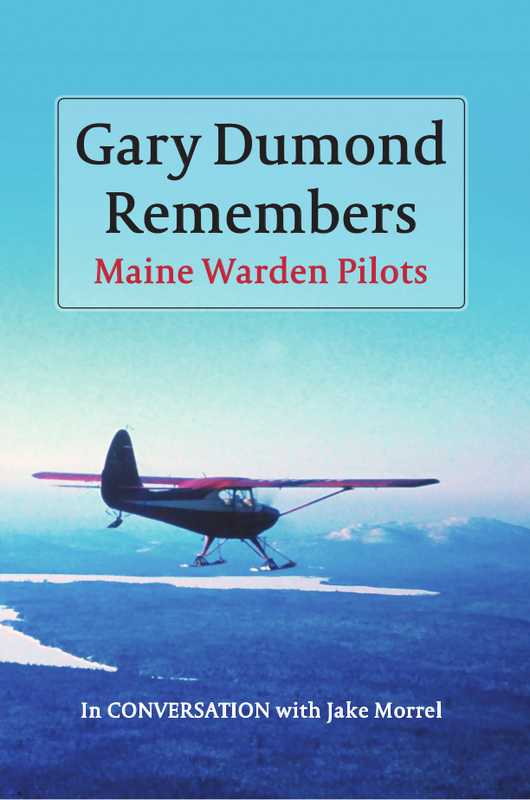 In his early years with the Warden Service, Gary flew with three legendary Maine Warden Pilots who were hired shortly after World War II, Malcolm Maheu, George Later, and Andy Stinson. Now, after 20,000 hours above the Maine North Woods, Gary tells his stories plus other tales passed down by his mentors. Jake Morrel was a high school teacher in 1971 when he first rode in a small airplane. That flight ignited his passion for flying. After hundreds of hours of practice, he was hired by Folsom’s Air Service as a bush pilot. Jake and his wife, Beth, eventually reconstructed an old set of logging camps and founded Hardscrabble Lodge, a fly-in sporting camp. Jake’s first book, Hardscrabble Lodge: True Maine Bush Flying Stories describes that adventure.